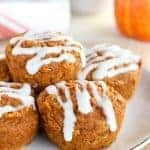 Healthy Pumpkin Muffins – Tender, lightly spiced pumpkin muffins filled with shredded apples and carrots. Similar to pumpkin bread and carrot cake – but healthier! Hello, friends! I originally shared this recipe 2 years ago, and I decided to update the pictures and make a few minor tweaks to the recipe itself. As we approach the holiday season and the over indulgence that goes along with it, these healthy muffins are great for those times that you want to make a healthier choice. Thanksgiving breakfast, anyone? These muffins are loaded with fall flavors – and you can eat them guilt free! I hesitate using the word “healthy” in the title of this recipe because I don’t want you to think for a second that any flavor or texture was sacrificed in order to make these nutritious. Check out all the good (and good for you!) 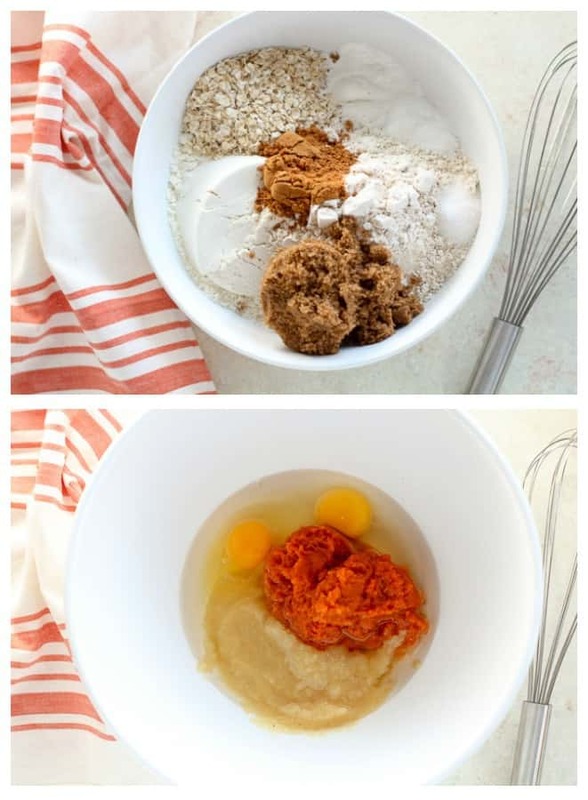 ingredients going on inside these Healthy Pumpkin Muffins. Pumpkin puree adds moisture, flavor and nutrients. Grated carrots blend right in with the pumpkin and make these muffins taste similar to carrot cake. Grated apple adds sweetness and fiber. Pumpkin pie spice or ground cinnamon add the warm cozy flavors of fall. Unsweetened applesauce keeps the muffins moist and allows us to reduce the oil without sacrificing texture. Wheat bran, ground flaxseed or oats bump up the nutritional value. 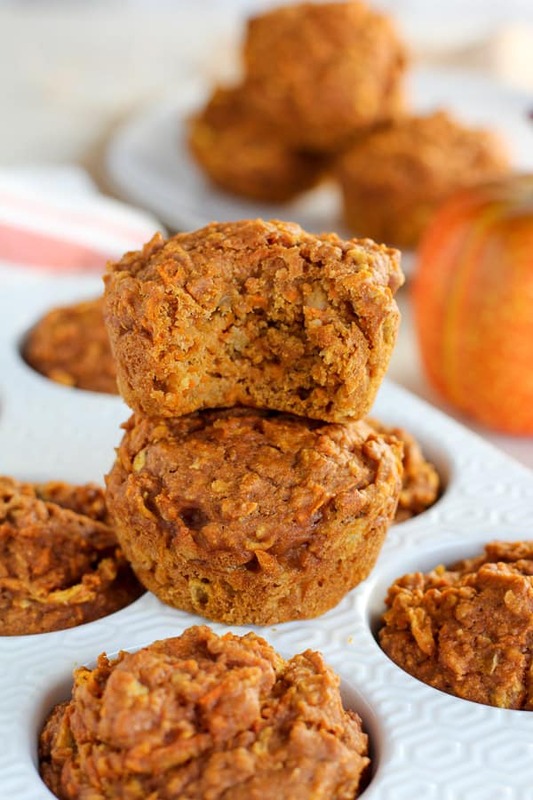 A combination of all purpose flour and whole wheat flour makes these muffins tender yet sturdy enough to hold the apple and carrots. If you’re a fan of pumpkin bread or carrot cake, you will love. I found they have similar flavors to both – with a lot less guilt! These muffins are just barely sweet, but not so sweet that you’ll need to clock extra time at the gym after eating a couple. I give the option of drizzling the muffins with a little cream cheese frosting. My kids love them this way, and let’s be honest….I do too! Choose to add the frosting, or leave it off. 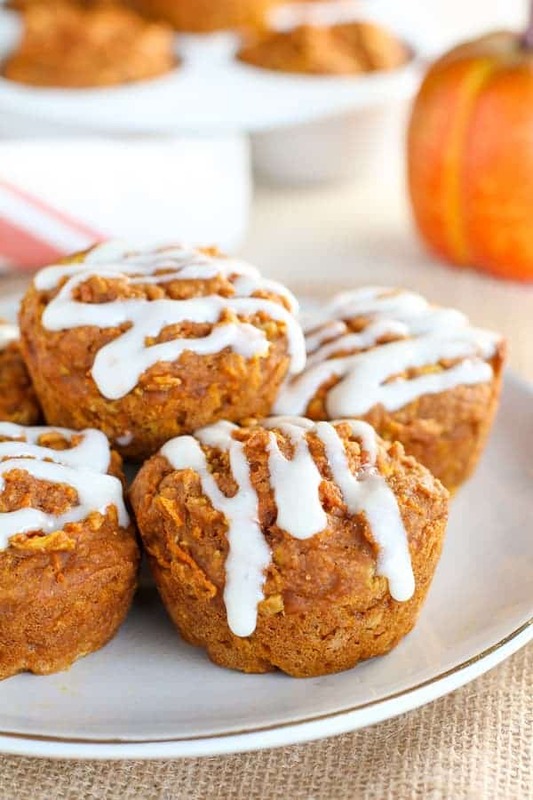 Nibble these Healthy Pumpkin Muffins for breakfast, snack on them throughout the day, or enjoy them as a healthy dessert. 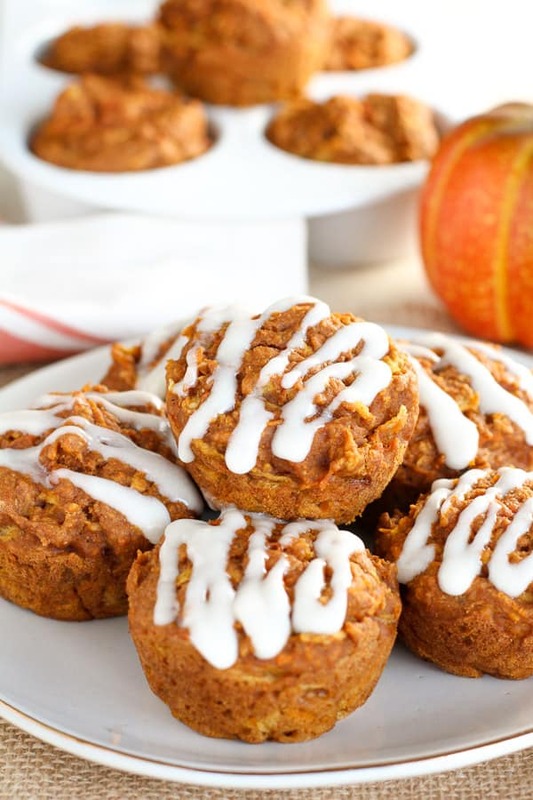 Tender, lightly spiced pumpkin muffins filled with shredded apples and carrots. Similar to pumpkin bread and carrot cake - but healthier! In a medium bowl, whisk together flours, wheat bran/flaxseed/oats, baking powder, baking soda, salt, cinnamon, and brown sugar. 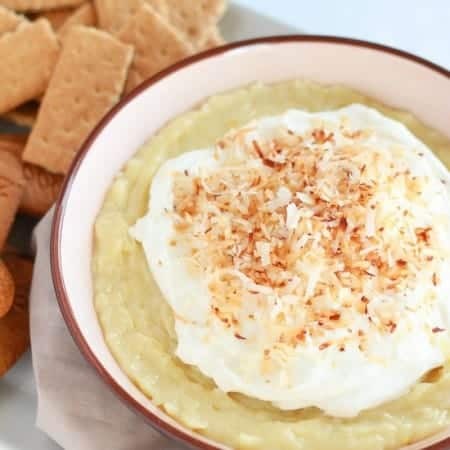 In a large bowl, whisk eggs, pumpkin puree, oil, and applesauce until combined. Stir the flour mixture into the wet ingredients, mixing until just combined. 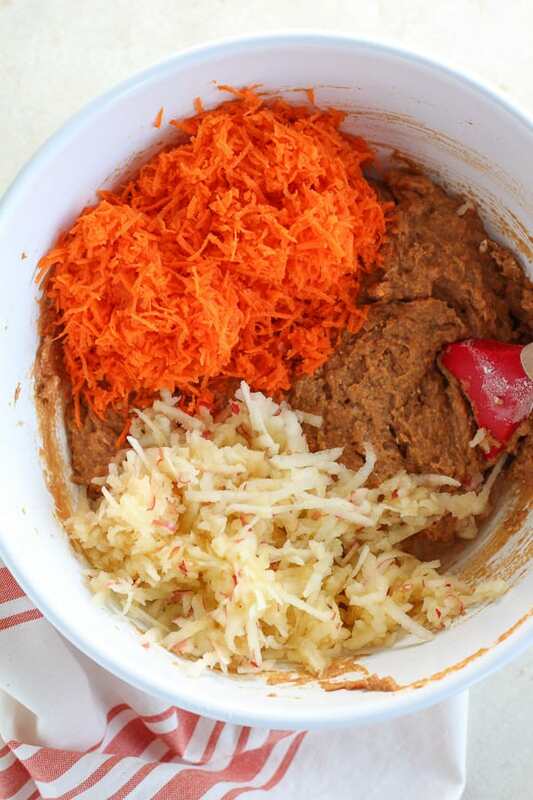 Add carrots, apple, and raisins and stir until evenly distributed, being careful not to over mix. Evenly divide the batter between muffin cups, filling about 2/3 full. Bake for 15-20 minutes, until a toothpick inserted into the center of the muffins comes out without raw batter on it. Cool in muffin pan for 10 minutes, then remove muffins from the pan to continue cooling. With a hand mixer or stand mixer, beat cream cheese and butter until smooth and creamy. Add powdered sugar, vanilla, and 1 teaspoon of milk. Beat for about 1 minute, until smooth. Add more milk of necessary. Drizzle frosting over the top of cooled muffins (I placed the frosting in a plastic bag, snipped the corner, and squeezed it onto the muffins). I grate the apples on the medium holes of a box grater, and the carrots on the fine holes of a box grater. Preheat oven to 375°F. Grease 9 muffin cups. Combine the first 8 ingredients in one bowl. Whisk the brown sugar, egg, pumpkin, oil and milk in another bowl. Stir the flour mixture into the wet ingredients, then fold in the carrots, apples, and raisins. Divide evenly between 9 muffin cups. Bake for 15-18 minutes, until a toothpick inserted into the center comes out clean. See recipe card for notes and more detailed instructions. 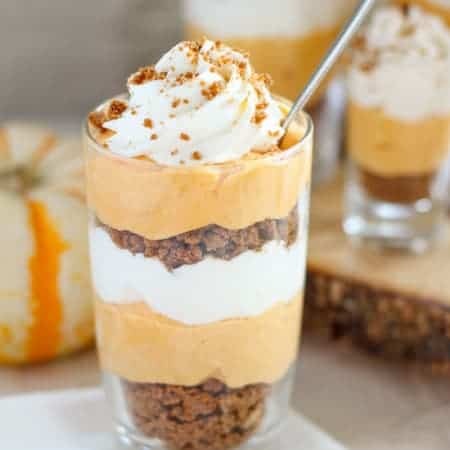 Hi I was wondering if you could post how to make the pumpkin puree. Do you bake the pumpkin? Or cut it up and saute? Or maybe it’s boiled? Lol its my first time cooking a pumpkin. Hi Amira. I use canned pumpkin puree. I have never made this recipe with fresh pumpkin so I’m not sure if it would change the consistency. Could you substitute wheat bran or ground flaxseed with something else like rolled or quick oats? Could you also substitute the wheat flour with all purpose? Yes, you can try swapping the ground flax for quick oats. And yes, you can use all all-purpose flour. This recipe is fairly forgiving, so I would guess that those changes should work. Enjoy! I used oat bran instead of wheat bran and it woked great! This is a really good recipe! I like it a lot…. If you plan to make it for kids that are not good with texture I would say use a food processor to make the apple and carrot much smaller. Glad you liked it! Thanks for sharing the tip about the food processor. I love this recipe–tasty, moist, healthy! And it adapts very easily. Last week I made it with pumpkin, oat bran and whole roasted flax seeds; today I was wondering what to do with a couple of mushy bananas, so I substituted those for the pumpkin and switched out a leftover zucchini for the carrots. Delicious!! That’s great to hear! Thanks for sharing your changes – they sound great! I subbed gluten free flour for both flours and they turned out delicious!! Thanks for the recipe! Awesome! 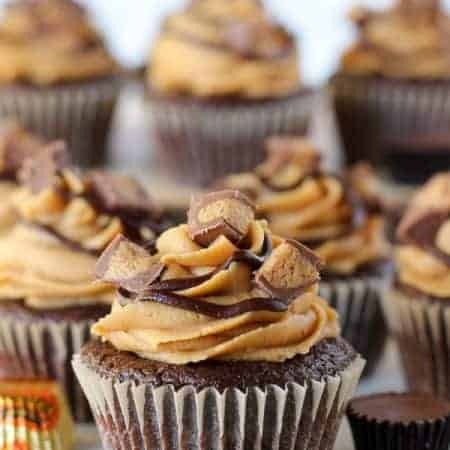 I was looking for a sugar-free cupcake recipe for my daughter’s 1 year birthday in October, and thought pumpkin would be cool, and found this! Cannot WAIT to try it !! !